The Ultimate Spa Massage in Fort Worth! Relax and Unwind with 8 Different Massage Techniques Performed by the Best massage therapist in Texas. Welcome to the Best Massage Therapy in the Dallas Fort Worth Metroplex! Try a hot stone massage, trigger point massage, deep tissue massage, or shiatsu. The NV Salon & Spa massage experience is framed by the core notion that we all deserve to live life in a happy, pain-free and balanced way. Our massage therapist are trained with the utmost importance in providing quality relaxation and muscle manipulation. Giving you the most, for your massage experience. Stone Therapy Massage is a type of bodywork that uses deep penetrating heat and/or alternating cold from specialized stones. Stone Therapy Massage improves the function of your lymphatic and immune systems. This style of bodywork takes you into deep states of relaxation, releasing stress and anxiety, detoxifying the body, and balancing your nervous system. Thai yoga massage is not like traditional yoga. You are not required to do physically draining positions or exert yourself. The art of Thai massage is to help alleviate muscle tension and add stretching to massage and muscle manipulation to better benefit your therapy needs. Suggest wearing comfortable clothes (no need to take your clothes off). Sports Massage is a type of massage designed for highly active people who engage in athletics. Sports Massage enhances performance and prolongs a sports career by helping to prevent injury, reduce pains and swelling in the body, relax the mind, increase flexibility, and dramatically improve recovery rates. Deep Tissue Massage is a form of bodywork that aims to relieve tension in the deeper layers of tissue in the body. Deep Tissue Massage is a highly effective method for releasing chronic stress areas due to misalignment, repetitive motions, and past lingering injuries. Using Deep tissue massage our massage therapist will slowly engage muscles as they apply more pressure to relieve tension. This technique provides less pain with more therapeutic effect. Pregnancy Massage is a form of bodywork designed specifically for pregnant women. Pregnancy is a time in which a woman’s body endures tremendous stress due to dramatic physical, mental, and emotional changes. Prenatal massage is best reserved for expecting mothers that have passed your first trimester, as your child's safety is priority number one. Trigger Point Therapy is a style of bodywork that focuses on stimulating and releasing “trigger points” in your body. Trigger points are tender areas of tension. During a session, focused pressure is applied through a variety of techniques order to release your trigger points. This process can be quite painful at times, yet the effects are lasting and profoundly transformative. Add on AromaTherapy to any massage for an additional $10.00 and let your tension melt away. 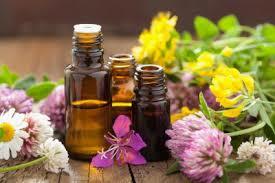 Our technicians use the highest quality of essential oils to make your massage complete and as theraputic as possible. Multiple fragrances and options available upon request.